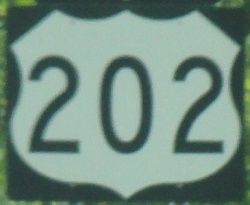 U.S. Federal Route 202 is an east-west highway in Western and Central Connecticut. It enters from the State of New York, at Danbury, and exits for Massachusetts, near Mechanicsville. Info on U.S. Rt. 202 is broken down by county below.